I love dungarees, wish I could pull them off myself!! En vind de combinatie van streepjes en ruitjes ook heel erg geslaagd. This is such a cute outfit, i love it! Have a great time at the pitch festival! Love the grungy mix of patterns- and have fun at the festival!! I love this combo. 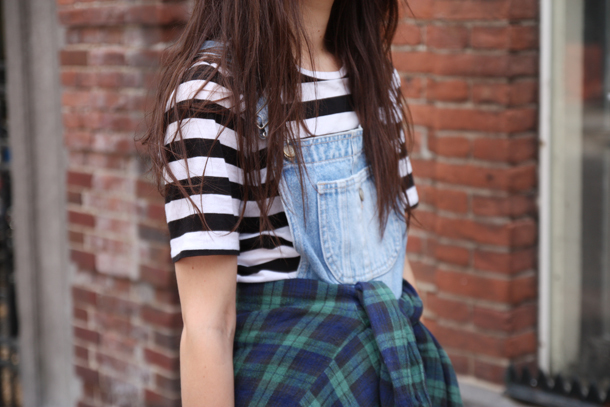 Super cute dungarees paired with classic stripes and flannel. Love this outfit so much, it's perfect! I'm currently holding a Firmoo giveaway on my blog here, please go have a look! I love the cool 90s grunge feel of this outfit. The overalls are super cute on you and I love the plaid shirt tied around your waist. Those dungarees are very cute, love it! I love this look! 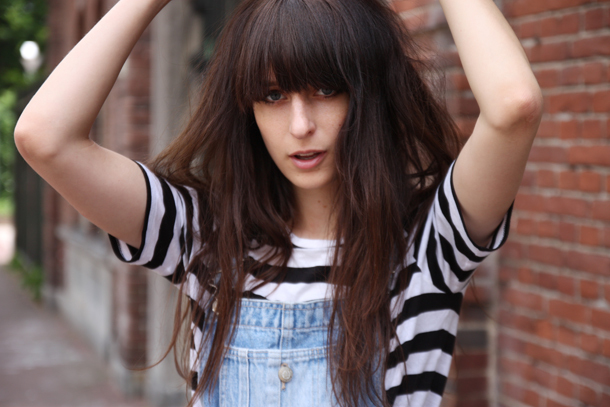 The secondhand dungarees have such a great vintage feel and look particularly fantastic paired with the striped tee! Staat je echt heel stoer! Love the way you styled your dungarees! Enjoy the festival tonight, I'm missing out big time but Django cheers me up!